Elon Musk is a name not unknown to many, thanks to his more than two decades of work that have changed the way innovations are now seen across the globe. From creating an online financial services firm at the age of 28 (which later came to be known as Paypal) to bringing electrically driven cars to the masses by the name of Tesla to creating the biggest private space technology firm (SpaceX), the technology entrepreneur has known no boundaries to limit his ambitions. If he continues at this pace, Musk might just be the man to go down in history books as the one who took the human race to Mars. But what if one was to sum up all of his accomplishments in a single page and that too, in a resume format (as if Musk would need that)? Many of us would struggle to do just that, given the long list of achievements that Musk has accomplished. However, a resume writing firm that goes by the name Novoresume took the challenge. 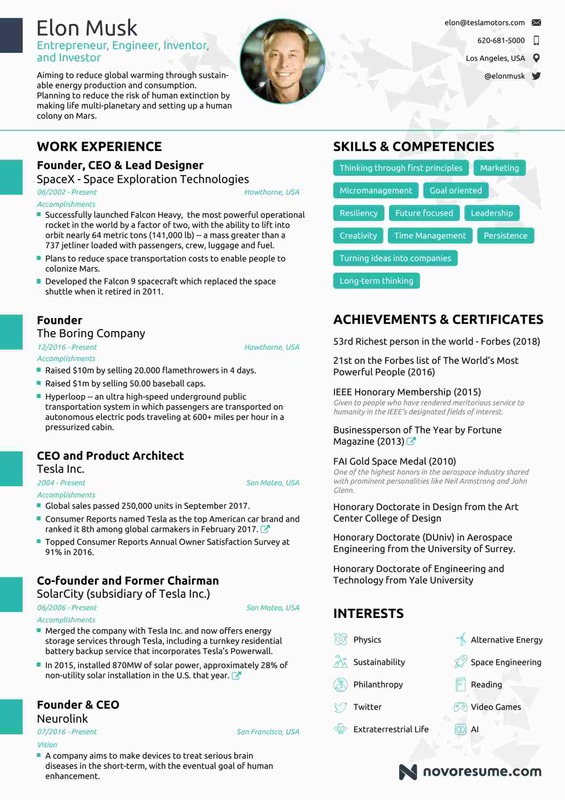 The experts at the company drafted Musk’s life-long accomplishments in a single page resume and as we can see below, the results are pretty impressive. 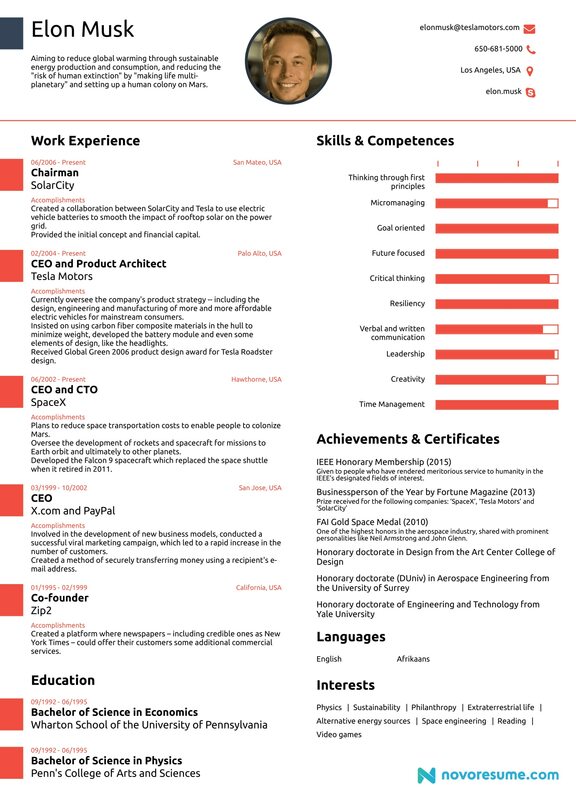 With this, the Novoresume proves that no matter how much one has to write about his/ her achievements, it can all be cramped up in a single page resume with the use of efficient design elements and proper vocabulary.